No pressure, but Thanksgiving is this month. 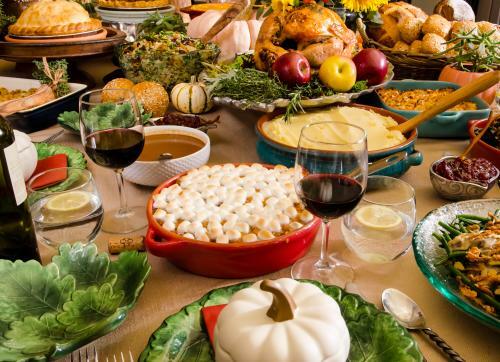 On the positive side there is the most delicious feast of the year to look forward to. On the negative side, you have to make sure that the most delicious feast does not end up becoming the most epic fail. What if you aren&apos;t the best cook? What if you waited until the last minute to go grocery shopping and now the only side items you can find on store shelves are potato chips? Relax. 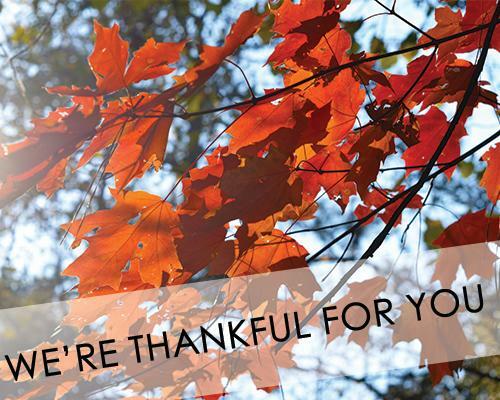 Some of our amazing restaurants here in Dunwoody are here to save your Thanksgiving. Now the hardest part is just refraining from ordering some of everything. Whether you are looking to eat in or eat out, we have you covered. Let someone else do the hosting this year. Wash it all down with one of their seasonal cocktails. Go ahead and reserve your table now! Okay, we&apos;re ready to claim our seat at the table. 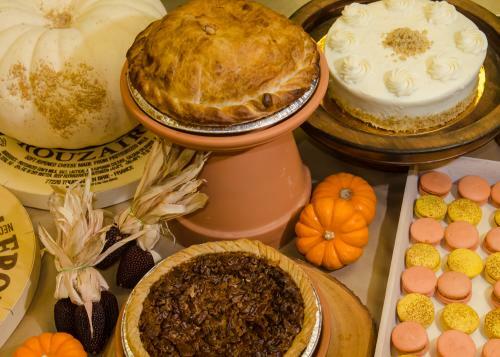 Alon&apos;s is easily your one-stop shop for all things edible this Thanksgiving. 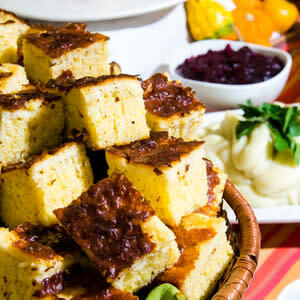 They are truly a host&apos;s best friend by providing options for before the dinner, the main event, sides, breads, and everyone&apos;s favorite - desserts. Keep early guests happy with an antipasto platter, a chili lime shrimp platter, or a holiday cheese board complete with nuts and dried fruits. Early attendees will completely forget about the promise of turkey and dressing with these yummy appetizers laid out. Ah yes, the turkey. Serving four? Eight? 12? No worries. Alon&apos;s put the whole turkey dinner together. 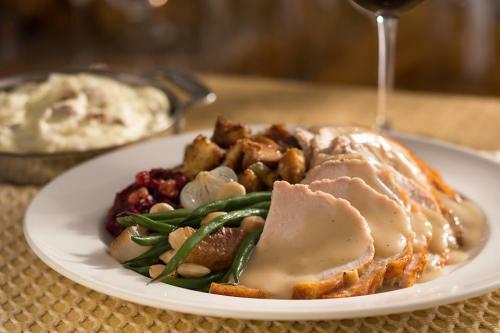 Their classic turkey feast includes roasted turkey breast sauce or relish, soup, mixed green salad, roasted garlic mashed potatoes, roasted Brussels sprouts, cornbread dressing or traditional bread stuffing pie, plus rolls and cornbread! Note: you might need to buy a bigger dining room table. The options don&apos;t end there. You can buy sliced turkey breast, an individual all natural roasted turkey, a whole smoked turkey, or beef tenderloin! 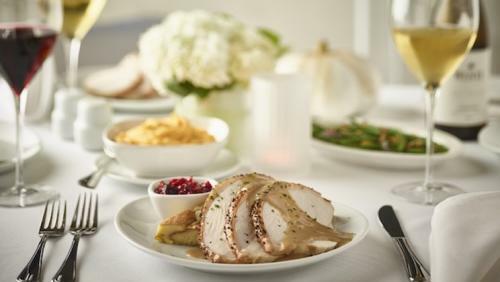 Choosing the sides for your thanksgiving meal is like choosing the ornaments for your tree. They cannot be mediocre, and Alon&apos;s side dishes are anything but. Choose from options like macaroni & cheese with sharp cheddar, lentil and quinoa salad, candied sweet potato souffle, and oh so much more. Hours later after everyone has digested their food, they will come to you looking for dessert. It would truly be a shame to disappoint them after impressing them all the way up to this point. You must give a grand finale. Pies, cakes, strudels, tarts, macaroons, Shokolina, cheesecakes - YOU NAME IT! With flavors ranging from Apple Cranberry and Salted Caramel Apple to Chocolate Chunk Pecan and Pumpkin, your dessert selection is sure to end your night with a decadent bang. As with anything, the sooner you act the better off you will be! All Thanksgiving orders must be placed and paid for by 5 p.m. on Monday, November 19th. Alon&apos;s will be closed on Thanksgiving Day. 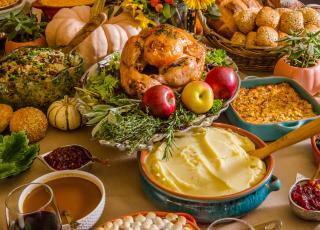 Craft your Thanksgiving menu now! No matter where or how you make Thanksgiving dinner happen this year - you simply cannot go wrong with any of these choices. Just know that you will probably be in charge of Thanksgiving from here on out. With all of these options in Dunwoody to help you go above and beyond, that isn&apos;t such a stressful thing after all. Now you have more time to focus on doing good, and feeling good with those you love - and that is truly something to be thankful for.